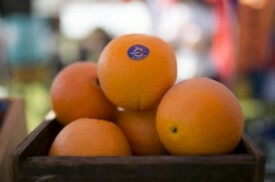 Moora Citrus has been involved in the Moora Show ever since we grew our first orange. But this year, we took it to the next level and became a major sponsor of the event! 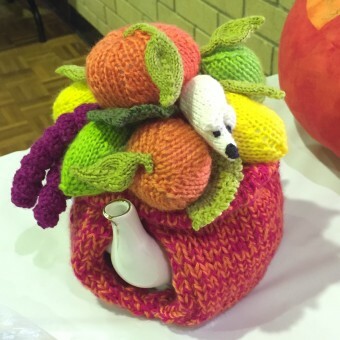 Events like the Moora Show are integral for regional communities. They showcase the agricultural produce, provide entertainment and perhaps most importantly, they bring everyone together for a social catch up. 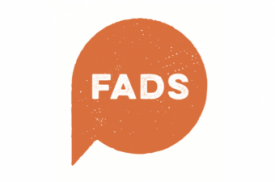 The Show program has modernised over the years and we now attract visitors from towns near and far. In 2016, Moora hosted it’s 105th Show, not even missing a beat during either World Wars or when the town was devastated by flooding in 1999 – a true testament to the resilience of the community. 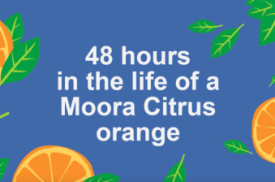 Moora Citrus recognises that we’re a big part of the community and we love that people get just as excited about our oranges and mandarins as we do. 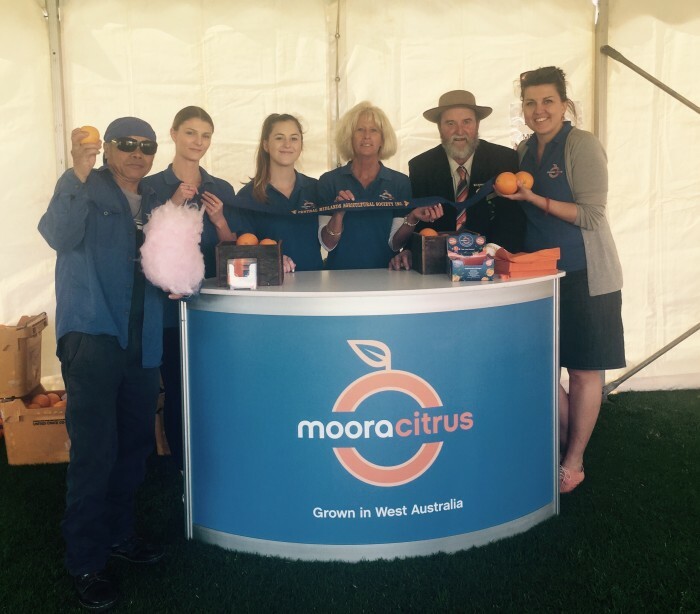 The Moora Show is just one way we are able to connect directly with our proud and local Moora Citrus ambassadors. 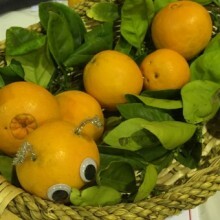 Moora Citrus sponsored a number of categories in the show exhibits, including arts and crafts. 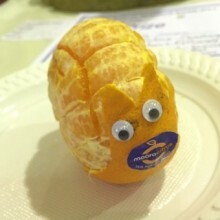 The students from St Joseph’s Primary School embraced the citrus theme and created some particularly juicy and interesting critters and creatures! 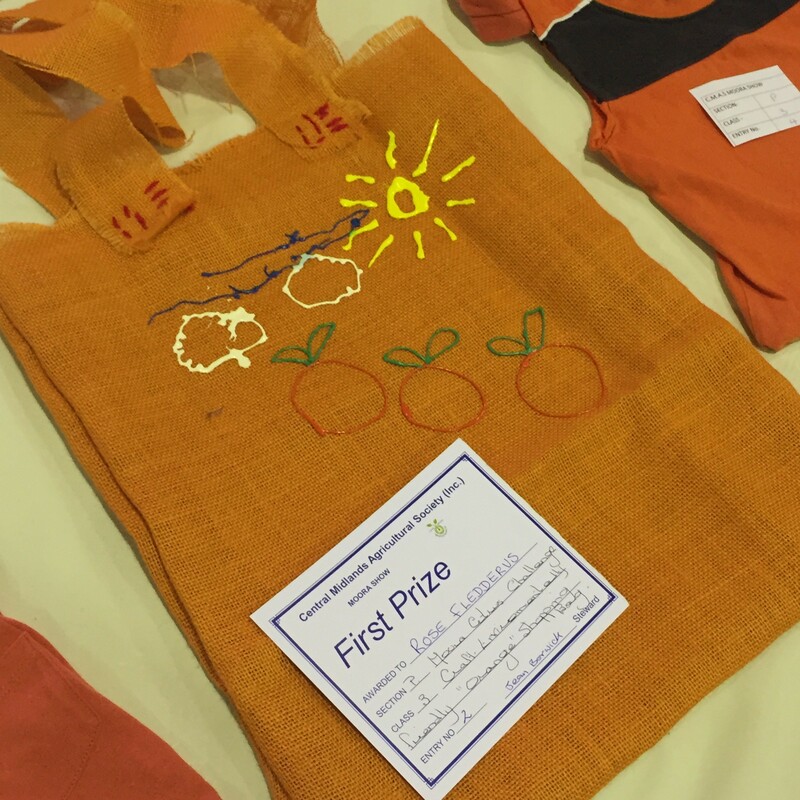 We also exhibited a number of the classroom workbooks that the school students had developed during Term 3, including a hands on tour of the orchard. Click here to read more. 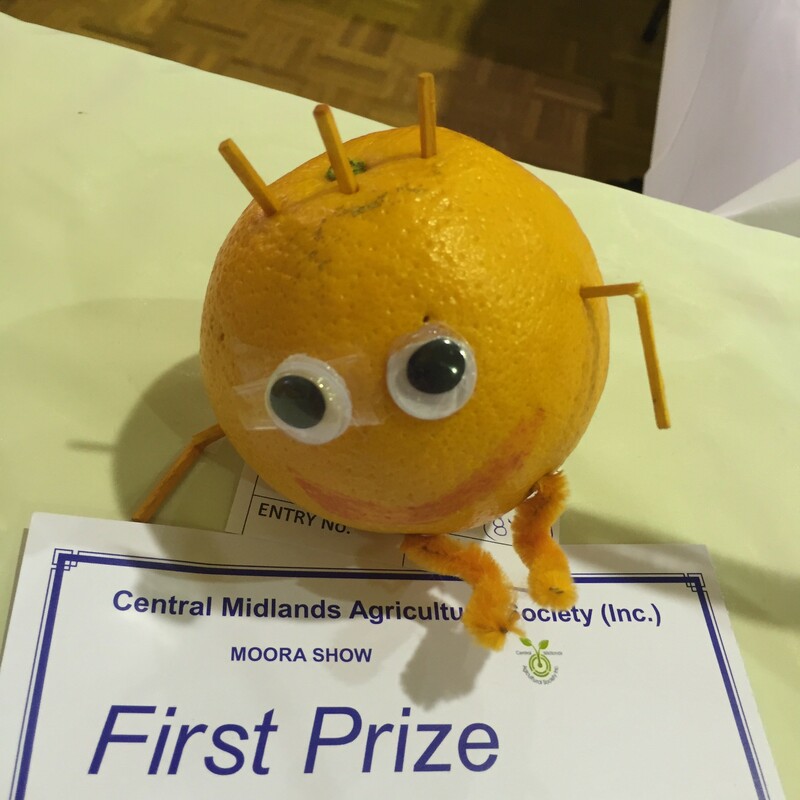 Every single one of the Moora Citrus orchard staff came to the Moora Show and helped out in our disply – from making freshly sqeezed OJ, whipping up choc orange mousse, giving away orange helium balloons or helping show attendees with the ‘guess the number of oranges’ competition. 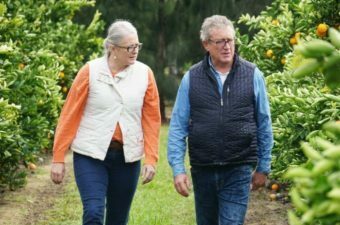 All-in-all, we thoroughly enjoyed being out amongst the community and sharing some of our zesty love with our fellow Moora residents. Huge thanks to the Central Midlands Agricultural Society and all the volunteers who make the event possible every year. We were honoured to awarded the 2016 Best Commercial Display. We’re already looking forward to a bigger, better and juicier event next year!